공주시 무령왕릉에서 발견된 청동거울로 청동신수경, 의자손수대경, 수대경 3점이다. 청동신수경은 ‘방격규구문경’이라는 중국 후한의 거울을 모방하여 만든 것이다. 거울 내부에는 반나체 인물상과 글이 새겨져 있는데 이는 한나라의 거울에서 흔히 볼 수 있는 것이다. 의자손수대경은 중국 한대의 수대경을 본떠 만든 방제경이다. 거울 중앙의 꼭지를 중심으로 9개의 돌기가 있고, 안에는 크고 작은 원과 7개의 돌기가 솟아있다. 내부 주위의 테두리에는 명문이 새겨져 있으나 선명하지 못하여 알아볼 수 없다. 수대경 역시 한나라 때 동물 문양을 새겨 넣은 수대경을 본떠서 만들어진 방제경이다. 그러나 한나라 거울에 비해 선이 굵고 무늬가 정교하지 못하다. 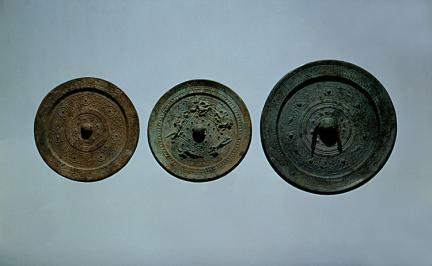 These bronze mirrors were found from Royal Tomb of King Muryeong, the 25th King of Baekje, located in Geumseong-dong, Gongju, Chungcheongnam-do, South Korea. 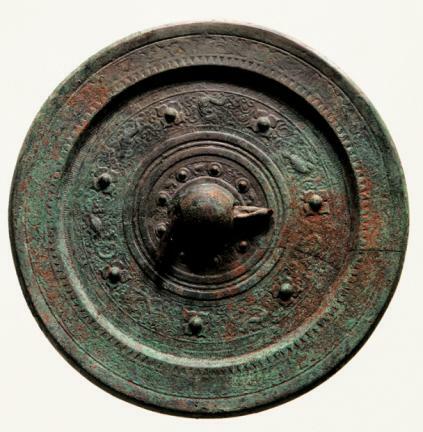 The bronze mirror named ‘Cheongdong Sinsu Mirror’ is modeled after a Chinese mirror named ‘Banggyeokgyu Gumun Mirror’ of Later Han. 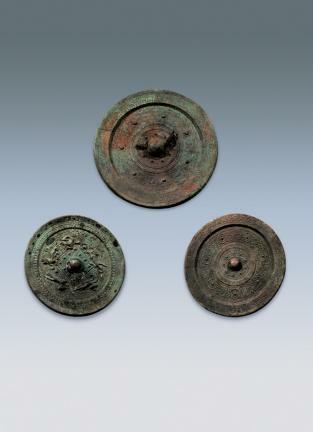 The mirror has an inscription and seminude figure as can be seen in many mirrors from the Later Han period. 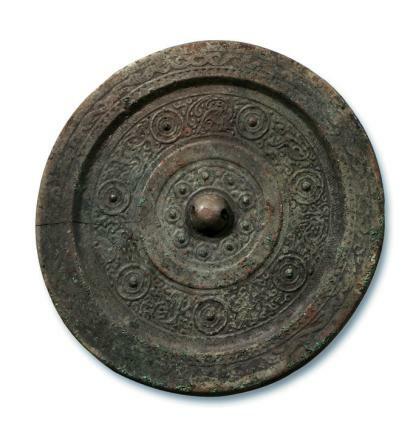 The bronze mirror named ‘Uijasonsudae Mirror’ is designed after the ‘Chinese Sudae Mirror’ of the Han period. Arranged around the knob at the center are nine protuberances, within which are circles and seven more protrusions. On the rim is an illegible inscription. 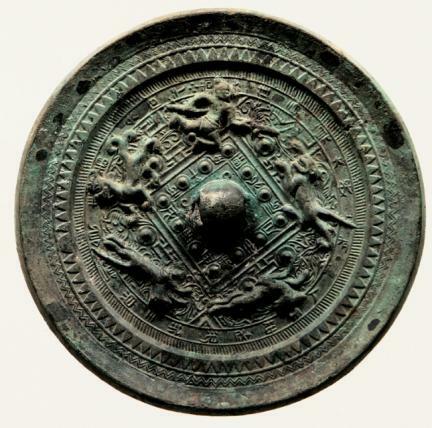 The third mirror named ‘Sudae Mirror,’ engraved with animal figures, is also an imitation of the Chinese mirrors made during the Han period. However, the lines are bolder and the patterns are less elaborate than the other two.